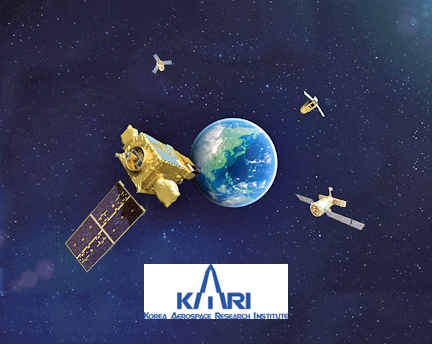 Arianespace has been selected by the Korea Aerospace Research Institute (KARI) to launch the KOMPSAT-7. Stephane Israël, Arianespace CEO, and Lim Cheol-Ho, President of KARI, signed the KOMPSAT-7 launch contract. Using a Vega C launcher, the mission will be conducted from the Guiana Space Center in Kourou, French Guiana, in December 2021. For nearly 30 years, Arianespace and Korea’s satellite technology research centers have developed a sound relationship, with the launch of both scientific microsatellites (Kitsat A and B) and the multi-mission COMS satellite. Following the upcoming launches of GEO-KOMPSAT-2A and 2B, the KOMPSAT-7 will be the fourth KARI satellite — as well as the ninth Korean satellite — to be orbited by Arianespace to date. 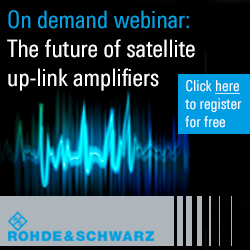 Developed by KARI at its facility in Daejeon, South Korea, KOMPSAT-7 will weigh approximately 2,000 kg. at launch and will be placed in SSO. 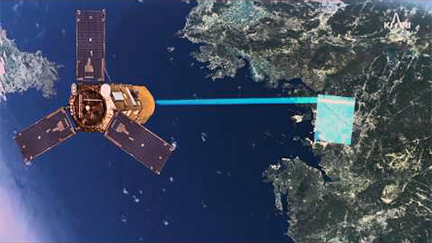 KOMPSAT-7 is the follow-up model of KOMPSAT-3A whose mission is to provide high-resolution satellite images to satisfy South-Korea’s governmental and institutional needs. Artistic rendition of the KOMPSAT-1 satellite. Vega C will join the Arianespace’s family of launch vehicles starting in 2019, alongside the company’s heavy-lift Ariane 5, the medium-lift Soyuz and the light-lift Vega — all operated from the Guiana Space Center. To meet the needs of an increasingly dynamic market segment for flight with small to medium-size satellites, Vega C will offer Arianespace customers enhanced payload performance thanks to its improved lift capability, along with increased volume under the payload fairing. Colleferro, Italy-based Avio is the industrial prime contractor for Vega and Vega C.
Stéphane Israël, Arianespace CEO, welcomed the contract signing and said the company is delighted that KARI has selected Arianespace and Vega C to launch KOMPSAT-7. At a time where the company is preparing for the launch of GEO-KOMPSAT-2A and 2B for KARI, it means a lot when such a close partner confirms the relevance of the firm's solutions towards the dynamic Earth Observation market. By embarking this Korean EO satellite, European launchers will support an ambitious national space program and contribute to strengthening the strong bond between Europe and South Korea.